That 2167 of the plants at Soekershof are succulents in the various gardens (plus more than 300 different seedlings of new species/varieties in the greenhouse). Separated from the city by a 10 minute drive through unspoilt landscape, Thornycroft Lodge is nestled in the heart of Horseshoe Valley, on the banks of the Nahoon River. Our spacious luxury suites open onto tranquil gardens, ensuring a peaceful sleep that will leave you revitalized. Each suite is complete with queen size bed, en-suite bathroom and separate comfortable living area with TV, DSTV, home entertainment system, coffee and tea facilities, electronic safe and fridge/mini-bar. Other facilities include swimming pool, Jacuzzi and sauna, therapeutic massages, badminton court, winter lounge, thatched bar area with pooltable, darts and Nintendo WII, mini-cinema and 500+ DVD library, and diverse wildlife. 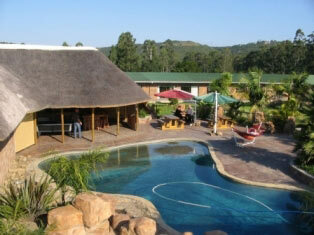 A leading wildlife conservation and safari destination in the Eastern Cape.